The residents of New Mexico have numerous options available when paying for a higher education. According to the New Mexico Higher Education Department, approximately $70 million is awarded every year to New Mexico’s students through various financial aid programs and scholarships. The financial aid options are funded through federal and state programs, private foundations, and community organizations. In New Mexico, a student may attain grants, scholarships, and subsidized or unsubsidized student loans. Additionally, internships, fellowships, tuition waivers, and work study programs are available for some students. Moreover, there are student exchange programs and loans for service programs available to some residents. There are also some loan repayment programs for the residents of New Mexico. Although most of the financial aid programs are for people fresh out of high school, there are some for older students as well. Some of the programs are aimed towards specific areas of study or towards people with a specific ethnic or economical background. The federal government has provided the following educational assistance through several loan and grant programs for many years. To qualify, a person must be a citizen or legal permanent resident of the United States and meet certain financial criteria. However, all these programs are currently being deliberated upon, and may or may not be available in the coming years. Not all schools participate in these programs, so the student will have to check for availability with the school of interest directly. The individual will have to file the Free Application for Federal Student Aid (FAFSA) forms through the selected school’s financial aid office. Plus and Grad-Plus Loans (the school must and participating lenders (currently Bank of the West, Citizens Bank of Clovis, and New Mexico Educators Federal Credit Union) must be participating in the Federal Family Education Loan Program. There may be additional federal programs available as well, such as the TEACH grant and the Federal Supplemental Educational Opportunity Grant (FSEOG). In addition, the federal government is now coming up with several new grants for training people to work in the “green” industries. The New Mexico Higher Education Department primarily works to provide residents with funding for in-state higher education. However, a few of the state funded programs help students attend schools out-of–state or assists students from out-of-state to attend schools in New Mexico. It is their goal to assist as many residents as possible to receive the higher education necessary to compete in a global market. 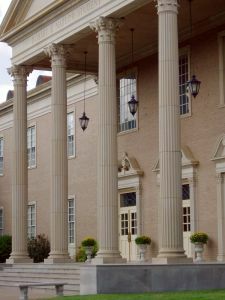 Most of the programs funded are for attendance at public colleges and universities, but a few private schools are covered under specific programs. The primary goal is to educate the New Mexico population in areas that will provide growth in the overall business environment, thus improving the living standards for all residents. Thus, for state funded educational aid, the person must meet the New Mexico residency requirements o be eligible for a waiver. The individual must also be a U.S. citizen or legal permanent resident. For all the programs, except the Loans for Service, individuals simply have to file the FAFSA forms at the chosen school’s financial aid office. Education Trust Board Pathways Scholarship – for graduating New Mexico high school seniors with a 3.5 GPA on a 4.0 scale, attending any public or private college or university in the United States as a first-time freshman. Must have filed a FASFA, and received a $0 Estimated Family Contribution on the Student Aid Report; the student simply fills out the application and mail it directly to the New Mexico Higher Education Department. Legislative Endowment Scholarship – for undergraduate students with substantial financial need who are attending eligible public post-secondary educational facilities in New Mexico as an undergraduate attending at least on a half-time basis. Legislative Lottery Scholarship – for undergraduates who are enrolled full-time at an eligible New Mexico public college or university. Must have a 2.5 GPA in first regular semester immediately following high school, and must have graduated from a New Mexico public high school, an accredited New Mexico private high school, or have obtained a New Mexico GED (home schooled students are eligible only if they pass the New Mexico GED). Loan Repayment Programs – provides for repayment of outstanding student loans for certain health and law professionals in exchange for service in specified designated areas of New Mexico, for a specified amount of time. The requirements vary per type of loan repayment; however health professionals are required to commit for two years while law professionals are required to commit for three years. Applicants should submit applications directly to the New Mexico Higher Education Department. New Mexico Scholars – for students of New Mexico who graduated high school in the top 5% of their class or score 25 on the ACT test, must attend an eligible college or university by the end of their 21st birthday, be an undergraduate enrolled full-time, and have a family income that does not exceed $30,000 per year. If two or more family members are in college, the combined family income cannot exceed $40,000 annually. Interested students should contact the financial aid office at the school of choice, and will need to file a FAFSA. New Mexico Veterans Education and Training Programs – for various veterans honorably discharged or disabled due to military service, and their surviving spouses or children if service person died while on active duty; benefits varies depending on veteran’s GI Bill rights. Some on-the-job and apprenticeship training is also available to certain veterans. Veterans should contact their local Department of Veteran Affair office, the New Mexico Department of Education, or visit the GI Bill’s website for more information. They should also contact the school of interest to see if any other financial aid for veterans is being offered through the school or local community. Student Incentive Grant – for New Mexico residents who are U.S. Citizens, and are an undergraduate enrolled at least half-time, and can demonstrate financial need; must file a FAFSA to be eligible. Vietnam Veterans Scholarship – for U. S. Vietnam veterans who were honorably discharged, and who were residents of New Mexico at time of entry into military service or who have resided in New Mexico for ten or more years. Must have been awarded a Vietnam campaign medal for service in Vietnam during the period of August 5, 1964 to official end of conflict, can be undergraduate or graduate student. Veterans may contact the New Mexico Veteran’s service Commission at 1-505-827-6300 or the financial aid office at any New Mexico public or eligible private institution. Western Undergraduate Exchange (WUE) – For a complete list of participating schools, visit their website. A person may visit the Department of Higher Education’s website for more information regarding residency requirements for in-state tuition fees and waivers. For more information regarding the aforementioned state funded programs, visit the following website. In-state tuition fees are usually less expensive than paying out-of-state tuition fees. In addition, courses taken at a public school are usually less expensive those taken at a private school. Therefore, students should try to get as many of the core subjects for their degrees through their local public colleges. However, the individual should also make certain that any courses taken will be accredited toward the degree upon transferring to other colleges and universities for the completion of his or her degree program. Los Alamos National Lab Foundation – northern New Mexico area; for any permanent resident of Los Alamos, Mora, Rio Arriba, San Miguel, Sandoval, Santa Fe, and Taos counties with at least a 3.25 cumulative unweighted GPA who is enrolling in or currently attending an accredited post-secondary institution; for more information, please visit the website. Manuel Lujan Excellence in Education scholarship – metro area – must be a graduating high school senior with a 2.5 GPA or higher, attending one of the 24 eligible schools, and planning on attending a four year college or university. Workman’s Compensation Association – for children of permanently or catastrophically injured or deceased workers killed in an employment-related accident; for more information, visit their website. All the following funding is based on specific cultural profiles. All the Native American based funding requires the student to be enrolled in a federally recognized tribe. Individuals should contact these organizations directly or visit their web sites for further information. Native Americans should also check with the Bureau of Indian Education. The student should contact the financial aid offices of the school directly. Many schools have scholarship, grant, and loan programs that are specific to that school or local community. Prospective students should check into scholarship and grant programs specific to their talents, abilities, hobbies, lifestyles, and areas of study also. Numerous web sites offer free database searches for scholarships based on specific profiles, such as academics, athletic ability, musical talent, personal traits, ancestry, and personal interests. Most public libraries and school counselors also have listings of scholarships and grants.